Often when things are so super hyped up and everyone’s talking about them, and then you finally check them out – they’re a disappointment. Well, I can name for you a few hyped up things that for me, have actually lived up to all the chatter: 1. Serial. If you’re not listening to it, YOU MUST. 2. Game of Thrones on HBO. I’m anxiously awaiting its return. WINTER IS COMING! 3. The milk and cookie shot at Dominique Ansel Bakery. 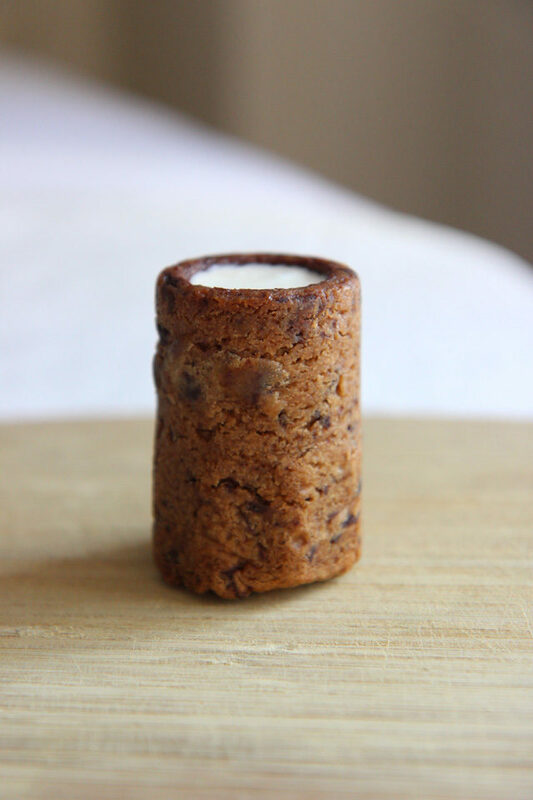 In case you haven’t heard of it, the milk and cookie shot is a creation of famed pastry chef Dominique Ansel (who runs a wonderful, albeit often crowded, bakery down in Soho), consisting of a shot-glass shaped chocolate chip cookie along with fresh, cold, Tahitian-vanilla infused milk, which you pour into the cookie shot glass. IT. IS. AWESOME. It’s not just like, an average chocolate chip cookie, and it’s not just a gimmick. This was honestly the best tasting chocolate chip cookie that I’ve ever had. And it’s not a big surprise, seeing as they make everything fresh daily in the bakery (right in front of your eyes, since their tiny kitchen is enclosed in a clear cube). The milk that you pour in – I mean, it’s infused with fresh vanilla. How bad could that be? I happen to love vanilla so seriously, I could drink gallons of that milk. It’s insanely delicious. 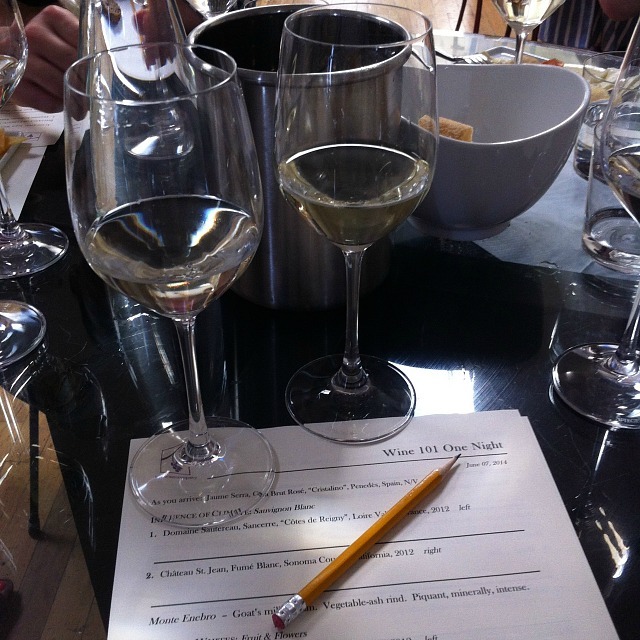 Put the two together….magic. Pastry magic. 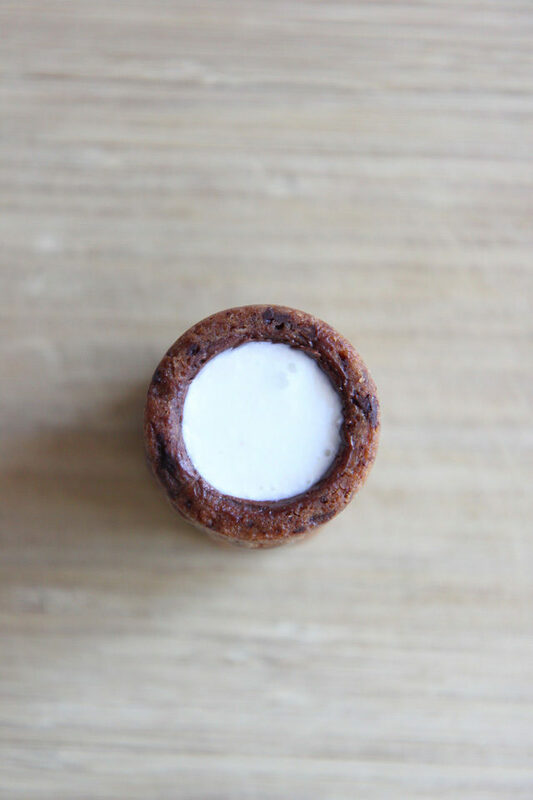 The bakery is currently offering holiday flavors for the milk and cookie shots, which I’m dying to try. They’ve got an oatmeal cookie shot with honey milk, a gingersnap with eggnog, a peanut butter cookie with chocolate milk, and a sugar cookie with peppermint milk. Sounds to me like a great way to get in the holiday spirit! I keep hearing so much about Serial! 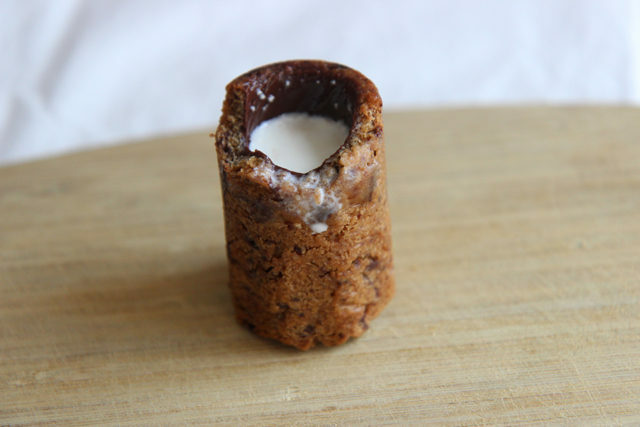 That milk & cookie shot sounds amazinggg! If you can see in to the kitchen, can you tell how they are making the cookies? 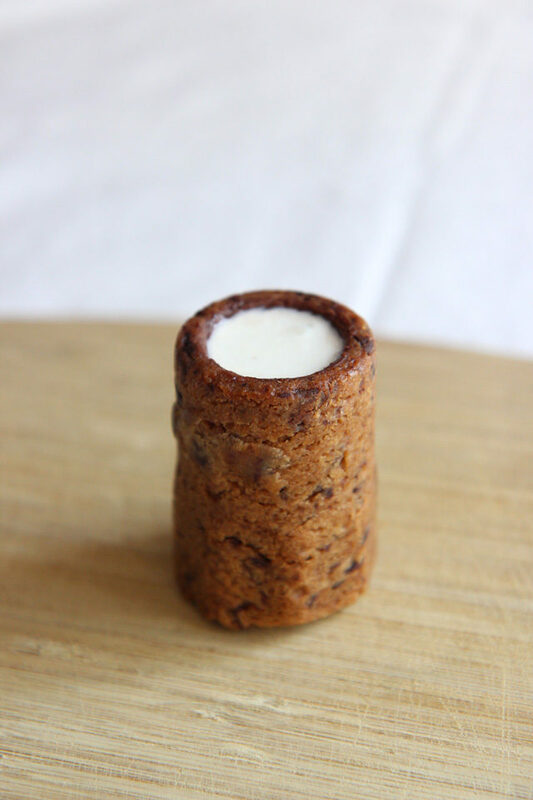 I'm thinking they must bake them on a tube, like a cannolli tube but without an open end. Holiday flavors sound awesome! I actually haven't seen them making this particular item (I wish, that would be cool! ), but I have to check in his cookbook, he might have the recipe in there! YUM! It's like a dessert version of a taco salad bowl……where you can eat both the salad and the (tortilla) bowl! omgggggggg I hate milk but that looks amazing. And pb cookie with chocolate milk??? I seriously need to try! Yum, I know – peanut butter and chocolate…so good! It's definitely a must-visit spot! Everything I've had there has been seriously delicious. I need to try this!!!!! Also, I am going to be in NY in January and would love to get together with you! 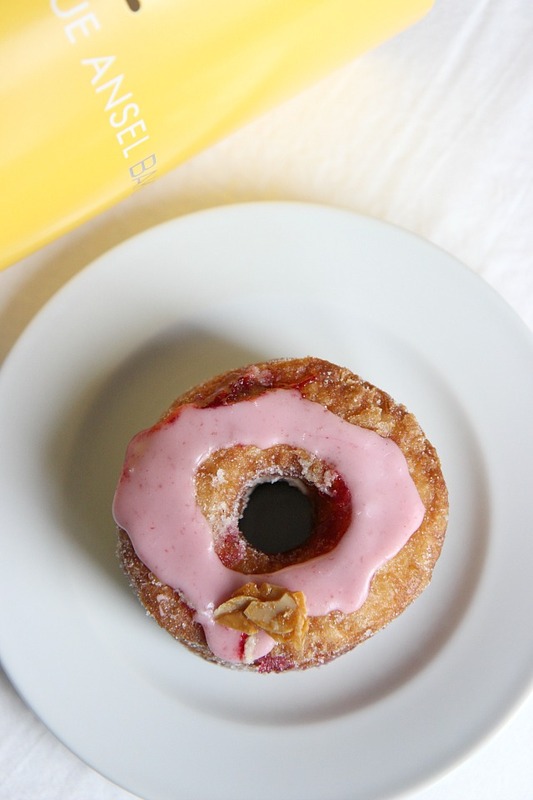 I Finally Got a Cronut!